What is West Nile virus? How is west nile virus spread? West Nile virus causes an infection that is spread by certain kinds of mosquitoes camera. Most often, mosquitoes get infected when they bite infected birds. Then the mosquitoes spread the virus when they bite people or other animals, such as horses. West Nile cannot spread from these animals to people or from person to person through casual contact. 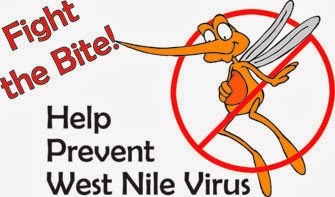 West Nile can spread through an organ transplant or a blood transfusion. So all donated blood in the United States is screened to see if the virus is present. Some evidence suggests that West Nile can spread from a mom to her baby during pregnancy, at birth, or through breast milk. But the CDC still recommends that women breast-feed, because the risk of spreading the virus to babies is unclear and the benefits of breast-feeding are known. Most people who have West Nile have no symptoms. Or the symptoms may be so mild that people may not even realize that they have the virus. In rare cases, West Nile can lead to swelling of the brain (encephalitis), swelling of the spinal cord (myelitis), or swelling of the tissues around the brain and spinal cord (meningitis). But very few people with West Nile will get a severe illness that affects the brain or spinal cord. Anyone who is bitten by a mosquito may get West Nile. Most of the time people fully recover from it. But permanent problems such as seizures, memory loss, and brain damage can occur, especially in children and older people. As you get older, you have a higher risk for getting encephalitis and other serious problems from West Nile. Of the people who have serious problems, those older than age 70 have the biggest risk of dying from them. In a few cases, West Nile can be fatal. 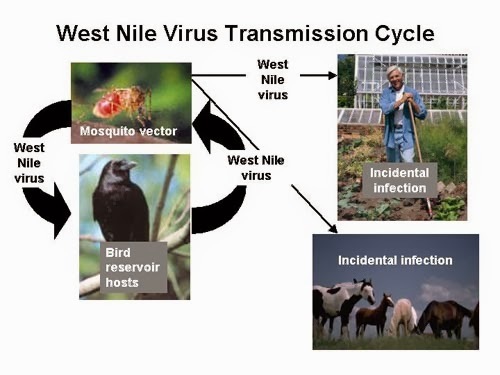 The principal transmission cycle of West Nile virus involves several species of mosquitoes and various species of birds. Mosquitoes become infected with West Nile virus when they feed on a bird carrying the virus in its blood. After 10 to 14 days, the virus can be transmitted to another bird, person, or other animal that the mosquito bites. During blood feeding the mosquito injects the virus, contained in its saliva, into the bird, animal, or person – where the virus replicates and may cause illness. Headaches, body aches, or pain in your eyes. A rash, usually on the chest, back, and arms. Feeling sick to your stomach or throwing up. Swollen glands (lymph nodes), in rare cases. A stiff neck or paralysis. Tremors, convulsions, or muscle weakness. In rare cases, West Nile virus can cause death. 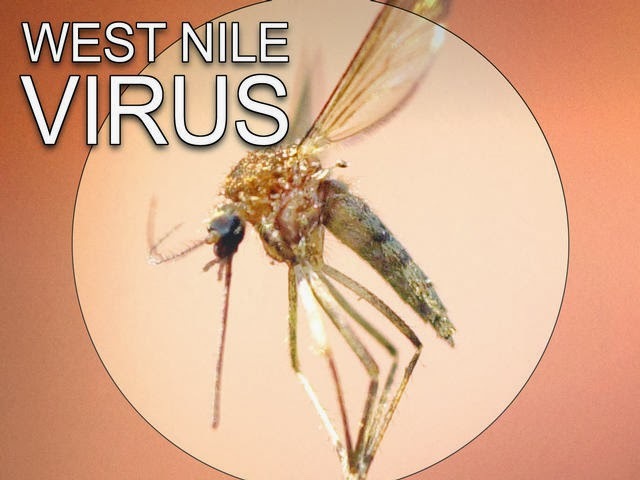 If you're infected, a blood test may show a rising level of antibodies to the West Nile virus. Antibodies are immune system proteins that attack foreign substances, such as viruses. A positive ribonucleic acid (RNA) test for the West Nile virus also is an indicator that you have the virus. The most common way to diagnose meningitis is to analyze the cerebrospinal fluid surrounding your brain and spinal cord. A needle inserted between the lower vertebrae of your spine is used to extract a sample of fluid for laboratory analysis. The fluid sample may show an elevated white cell count — a signal that your immune system is fighting an infection — and antibodies to the West Nile virus. In some cases, an electroencephalography (EEG) — a procedure that tests your brain's activity — or an MRI scan can help detect brain inflammation. How can you prevent West Nile Virus infection? Do not leave puddles or open containers of water near your house, because mosquitoes breed in standing water. Stay indoors at dawn, dusk, and in the early evening when mosquitoes are the most active. A West Nile virus vaccine is available for horses only. If you own horses, you may think about getting the vaccine for them. The death rate from West Nile is much higher in horses than in humans. Researchers are working to create a vaccine that prevents West Nile virus in humans.